Ah, yes — cold and flu season is here. It’s that wonderful time of the year where when someone coughs, you find yourself running to the nearest sink to wash your hands. If you or your child develops a cough, stuffy nose, or sore throat, break out your thermometer — it’s time to figure out whether it’s the common cold or the dreaded flu. Colds are viral infections and can be caused by many viruses. They affect the upper respiratory tract, which is why the nose, sinuses, and throat are all affected. 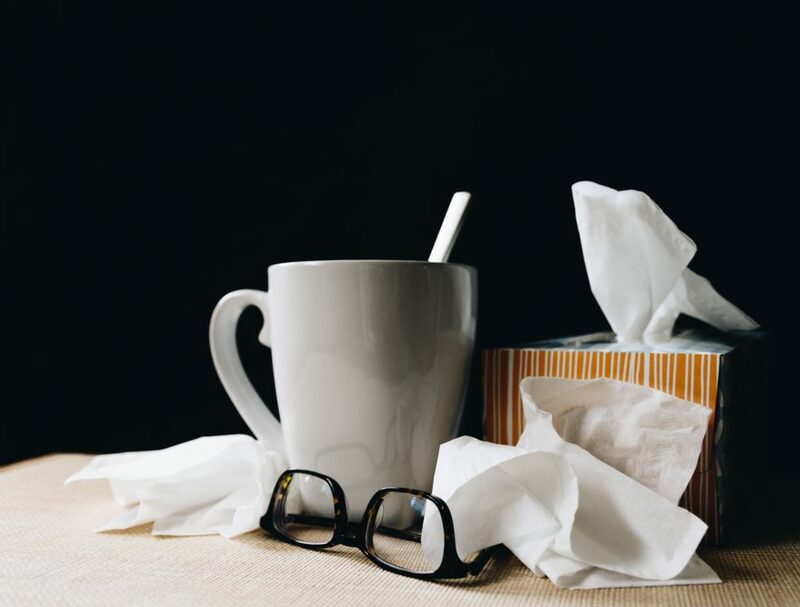 Lasting anywhere from 3-10 days, a cold’s treatment consists mainly of waiting it out. Make sure you always have a box of tissues on hand and water or sports drinks nearby. If symptoms seem to worsen, call your doctor. As long as they don’t have a fever and you feel comfortable, your child can continue to attend school. A viral infection, the flu is caused by only a few specific viruses. While it lasts from 7-14 days, symptoms can linger for almost 3 weeks. If you think your child has the flu, call your doctor as soon as possible. If it’s within the first 48 hours of the flu, there are medicines available to shorten the duration of the illness. Keep your child home from school, and make sure they get plenty of rest and fluids. When it comes to the flu, the best treatment is preventative care. Flu shots can be given to children six months and older. Vaccinations generally become available early fall, and the earlier your child receives the vaccine, the more protected they will be. Lake Forrest Prep, a private school in Orlando, wants your family to be protected this cold and flu season. For more tips on staying healthy, check out our blog!